This is our life right now: Wonders of Nature. 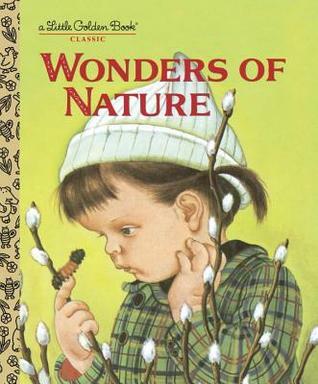 (If you get a chance to pick up a copy of this book, Wonders of Nature, do! So sweet and poetic!) 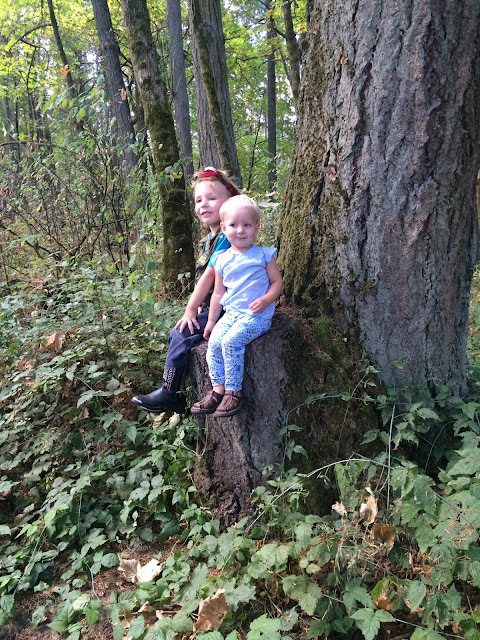 Every morning, the littles wake up and before I can finish picking up their breakfasts, they’re begging to get their shoes on (or not) and escape to the great outdoors. This week we’ve been studying beetles and caterpillars, flattening mole hills, picking apples, and splashing in rivers. I say that in multiple because we’ve been exploring fair number of parks since we’ve been here and an even higher proportion this past week while Josh was at Peterson University in Oakland. Parks seem to distract kids from missing their dad the best, they meet friends, and sleep great that night! It’s always hard finding where to go to play in a new town. 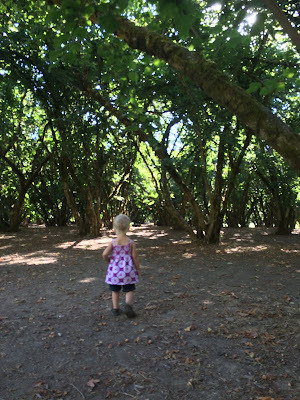 So far I’ve been very impressed with the parks in the Eugene area, so I wanted to share our local experiences with others in the area who might be curious, as well as general ways you can look for play areas in any town. 1. 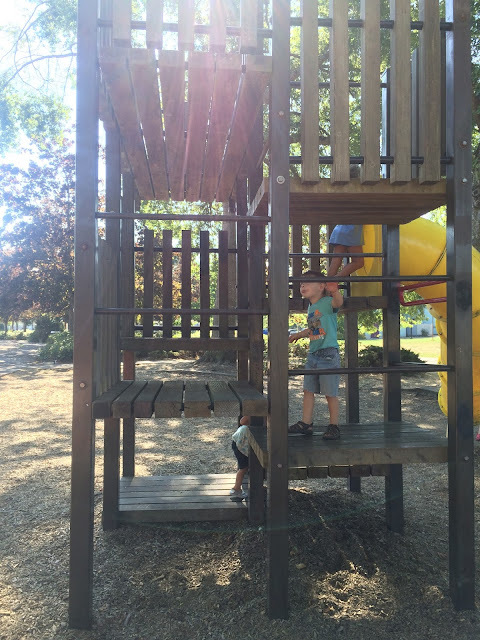 Drive Bys: You know, to be quite honest, we’ve found the majority of parks by mistake. Nothing beats exploring on your own, getting a little lost, finding some hidden gems and figuring out a new area. My first memorized route in this town of crazy roads and traffic was to the grocery store (priorities, right?) and it was from there that I spied at least three of the parks we’ve visited! Look for the brown rectangle park signs and yellow diamond playground signs. In fact, even the kiddos recognize and seem to be on constant look out for these ones. 3. County Parks home page. Search for (your county) county parks. 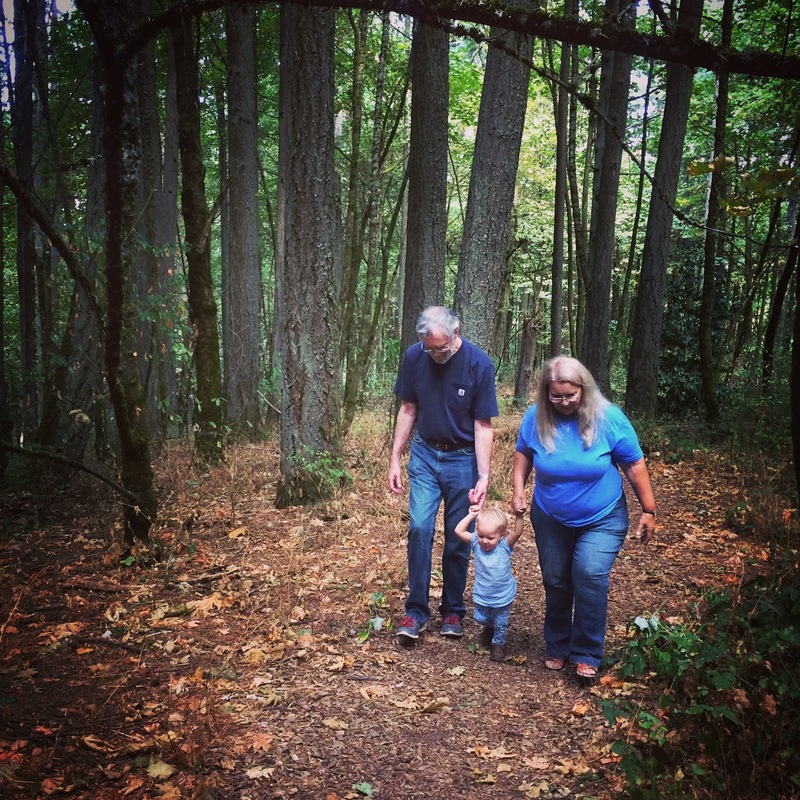 The Lane County Parks page has links to a variety of different parks as well as regulations and passes. 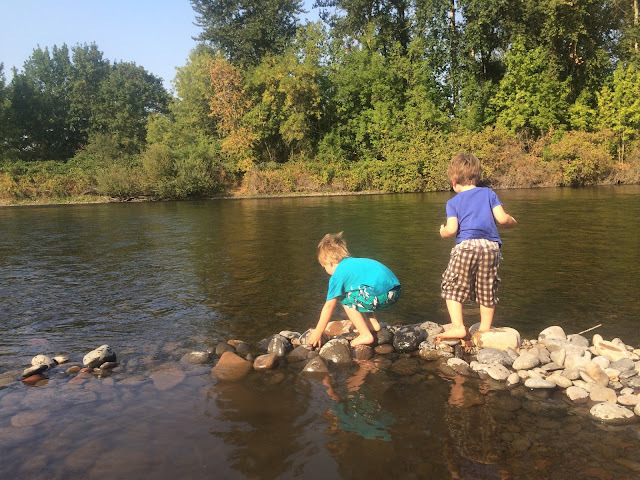 They also have a page listing all the parks in Lane County with information on the amenities provided, though the presence of playgrounds is not always mentioned. 4. State Parks: Search for (your state) State Parks to find their web page. Oregon’s is definitely geared more toward camping and outdoor adventures rather than playgrounds. And of course it covers the whole state, so you have to narrow your search. But if that’s what you’re looking for, this can also be a great tool. 5. Kaboom: Have you ever heard of Kaboom.org ? 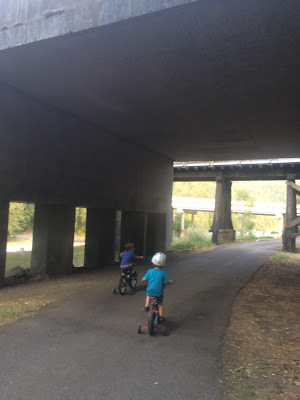 You just type in your town and it pops up a map and list of play areas near you, both indoor and outdoor. And you can add in the ones not yet listed! Pretty convenient. I’m going to have to play with this one some more. 6. School rules: Did you know public school playgrounds are available to the public for play during non-school hours? We visited these all the time growing up and got to discover many fun places we would have never seen otherwise! 7. Word-of-mouth: Do you know anyone in the area? Especially if they have similar interests they are probably your best bet for directing you to the spots you’ll really enjoy. Or, if you can find one park, ask others you come in contact with where else they like to go. In my experience, people are usually more than willing to share their knowledge! Just prepping this page I found so many more parks I want to check out! I hope you can benefit from it, too! 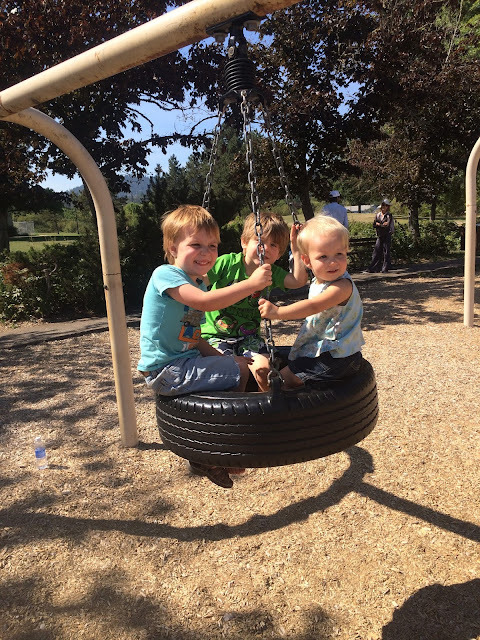 Play is so necessary for everyone old and young alike and promotes physical and mental health. Sometimes just knowing where to go can be half the battle. 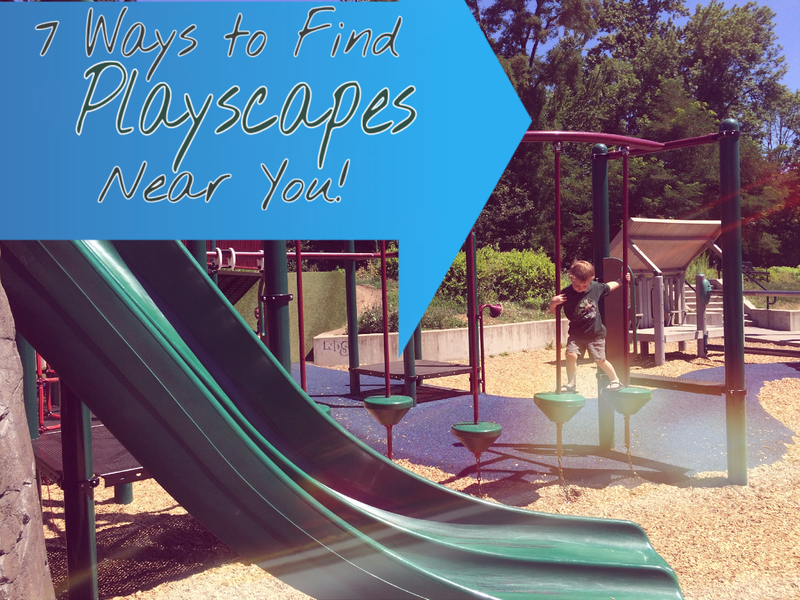 Especially for homeschoolers or those with young children who may not have access to the play structures on a regular basis. And you can use a lot of these searches as you travel, too! Just remember to check local park regulations and fees; they’re usually posted on site. 1. Discovery Village in Skinner Butte Park: Awesome play structures and water play! Pretty busy and open with tons to do. 2. Fairmount City Park: Smallish park tucked behind the university that also has water play. Very peaceful secluded feel to this park. 3. Amazon Park: Lots of fun structures that seemed to enthrall a wide range of ages. Outdoor pool in the summer and miles of paths. 4. Willamalane Park: On our way to the grocery store! =) Lots of play structures, skate park, and apparently there’s an indoor swim facility we have yet to discover. 5. Hendricks Park: Although it does have a few swings, we appreciate this heavily wooded area best for its peaceful walking paths. 6. 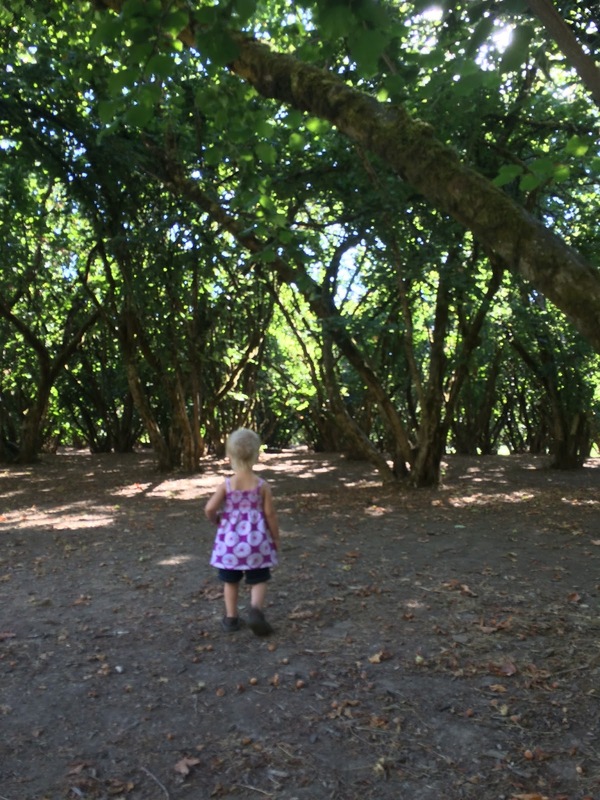 Dorris Ranch: more info on this one in my last post, but this park has miles of paths, mostly through century-old hazelnut groves. 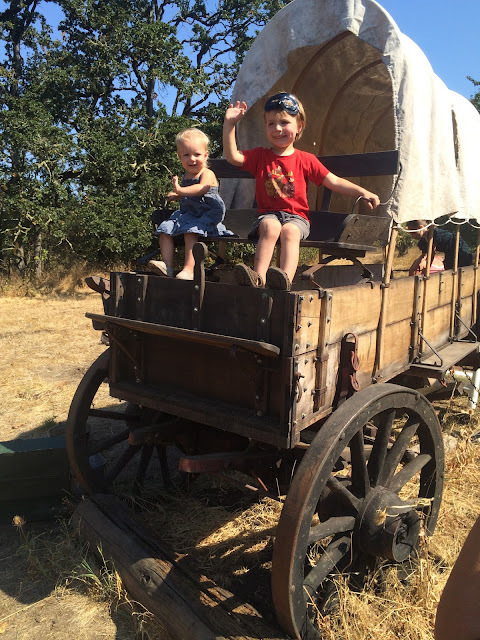 They also feature a living history village. Although open to educational groups by reservation, we visited a community day last Friday and found it very interesting! 7. 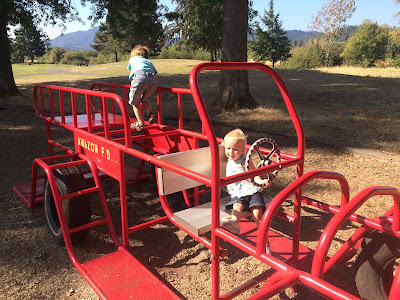 Petersen Barn: this was the first park we visited (found word-of-mouth) and loved the sandy playground and open space. Turns out, our new church meets in the community center here! 8. Dorena Lake: nice swim area and wooded picnic area on this lovely lake in the hills. A little bit of a drive from Eugene. 9. Lowell park and Dexter Lake Park: equipment to climb on and a great swimming area. The day we went here it was almost 100 degrees! The cool lake was so pleasant! Again, about a half hour drive. 10. Armitage Park: paved paths that wind around by the river, gravel bars and large fields with picnic areas. 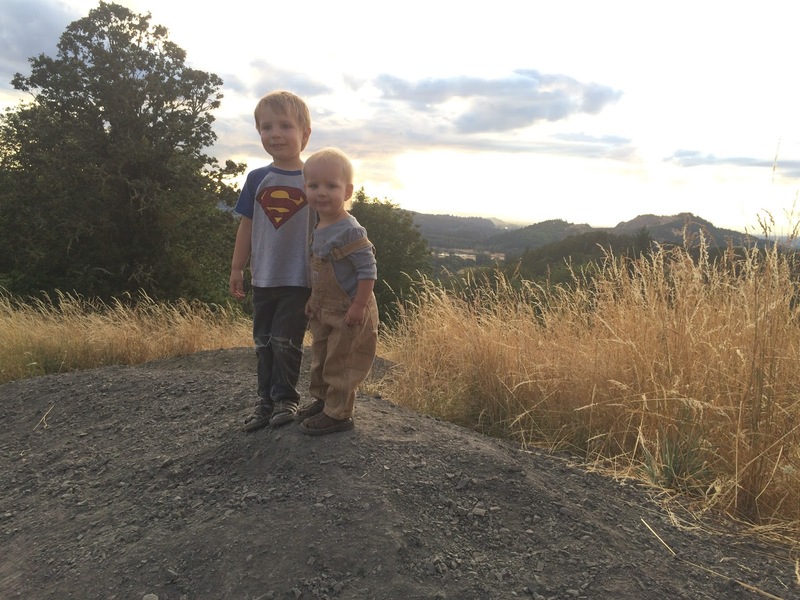 Where is your favorite place to go outside and play? Do you have one great spot that you keep going back to, or do you like to discover new place each time you go out? I hope you have a great week and happy exploring!